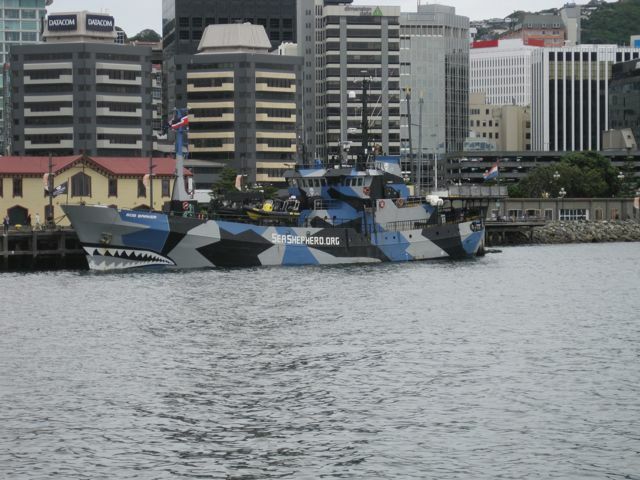 Bob Barker, a Sea Shepherd ship, in Wellington. Spotted at lunch time. Neat, it’s still there. :-) Saw it when I was down in Wellington the other weekend. Also saw the Steve Irwin a year or two ago as well, got a few pictures of it then, but the new paint jobs are much more impressive.